The electrate apparatus is invented in three registers: technology, compositional practices, and identity formation. The saturation of Everyday environments with mobile devices encountering sensor settings is the contribution of technics. Interactive equipment establishes at the level of technics a feature of the world central to the history of the arts, which materialize and augment a human capacity to be affected by place and event. 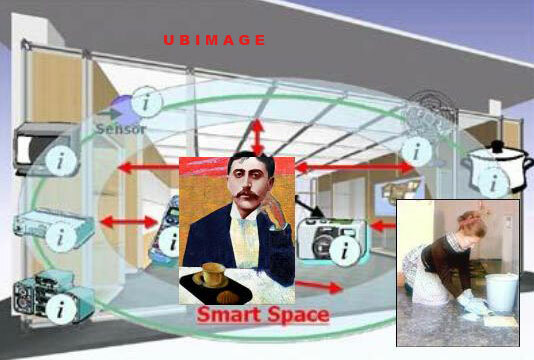 Marcel Proust's involuntary memory, triggered by the taste of a tea biscuit, or the Wolf Man, whose obsessions were triggered by the site of a maid scrubbing the floor, are two famous examples of embodied triggers, emblematic of this capacity.